Judges of the Supreme Administrative Court (SAC) and their colleagues from the Sofia Appellate Court are obviously reluctant to comply with European law. This is clear from a decision of the SAC from February 28, 2019, in favor of a raider scheme implemented by a scandalous former magistrate and his partner, producers of lyutenitsa (chutney from tomatoes and peppers). The scheme is explicitly condemned by the European Commission (EC) which is threatening Bulgaria with sanctions. To sum up the story – two companies are in a dispute over the right to use the label “Lyutenitsa Parvomay”. One of them is “Konservinvest” that has registered a trademark with Parvomay in its name in the distant 1999. The second is “Bulcons Parvomay”, about which Bivol wrote in 2015 and which is associated with former judge Vesselin Dimitrov, who has close ties with the party largely representing the Muslim minority in Bulgaria – Movement for Rights and Freedoms (DPS). “Bulcons” has registered “Lyutenitsa Parvomay” with a Protected Geographical Origin in 2013, and has then attacked “Konservinvest” through a private law enforcement agent (PLEA) and has seized its production. This has been possible because the Bulgarian legislation on the registration of geographical origins and labels for food and beverages is in contradiction with the European law, to which the State has been closing its eyes for years. The Supreme Courts’ judges are aware of the problem, but have not sent the mandatory interpellation to the European Court of Justice in Luxembourg, and their decisions have obviously served their former colleague’s interest against the public one. “Bulcons Parvomay” has conducted a classic raider attack through the Court, similarly to the one in the “Belvedere” case. The company of the former Plovdiv District Court judge Vesselin Dimitrov has filed a lawsuit against “Konservinvest” claiming that the use of its trademarks has violated the rights of their geographical origin “Lyutenitsa Parvomay”. Judge Hayguhi Bodikyan has granted Bulcons a right of preliminary precautionary measures. Since November 1, 2014, the “Konservinvest” factory is surrounded by the police and through PLEAs and lawyers, its merchandise had been seized, not only from the factory, but also from its customers in Bulgaria. Hayguhi Bodikyan has experience in ruling in cases similar to the “Belvedere” one. As Bivol wrote, one such rule is behind another huge scandal involving companies close to the DPS lawmaker and media tycoon Delyan Peevski taking over the business of Israeli investors, and not just some investor but an Israeli billionaire who is now suing Bulgaria for hundreds of millions of euros at the International Center for Settlement of Investment Disputes (ICSID), part of and funded by the World Bank Group, headquartered in Washington, D.C., in the United States. Judge Bodikyan, however, did not finish the case because at the end of 2015 the Supreme Judicial Council (SJC) elected her as President of the Administrative Court in the southern city of Haskovo. The case has been assigned to judge Tsvetan Tsenov, but after his sudden death, the ruling has been delivered by Maria Raykinska. In December 2017, she ruled in favor of “Konservinvest”, rejecting “Bulcons’” claim as entirely unfounded. Judge Raykinska listed the motives for her decision on 10 pages, referring to European and national law. At the appellate instance, however, Bulcons won through an entirely different rule. The SAC ordered “Lyutenitsa Parvomay” to be seized and the production with this geographical origin destroyed and, in addition, ordered “Konservinvest” to pay property damages and lost profits amounting to more than BGN 636,000 as well as interest. Meanwhile, “Konservinvest” filed a claim in the Administrative Court and sued to nullify the Geographical Origin. The claim refers to the Trademarks and Geographical Origin Identification Act, which states that if a similar trademark has already been registered, there cannot be a registration of a geographical origin. Nevertheless, the Patent Office has registered it on grounds that this would not confuse the consumer, stating that “Konservinvest” can use its brand without a problem (see here, in Bulgarian). Meanwhile, the company hit a wall in the Administrative Court as on July 12, 2017, it rejected its nullification request. Earlier, however, several national and international institutions, including the EC, have already ruled on the case. They all share the view that the geographical origin in Bulgaria does not have a legal burden because its registration is not in line with the European regulations. According to the law, when there is a discrepancy between a European regulation and a Bulgarian law, the Regulation applies. “Konservinvest” then turned to the Parliamentary Economic Committee and received a written statement that despite the registered Geographical Origin, the company has the right to use its brands on the market. The Commission for Protection of Competition even imposed a fine of BGN 118,000 on “Bulcons Parvomay” because of its attacks on “Konservinvest”. The government hid the letter from the public and it did not receive the necessary attention, but the lawyers of “Konservinvest” have brought all that information to the attention of the Sofia Appellate Court while the trial process has been still underway. Bivol published the letter for the first time in its entirety here. Despite all of the above, on February 28, 2019, the Sofia Appellate Court ruled against “Konservinvest” without complying with European law. 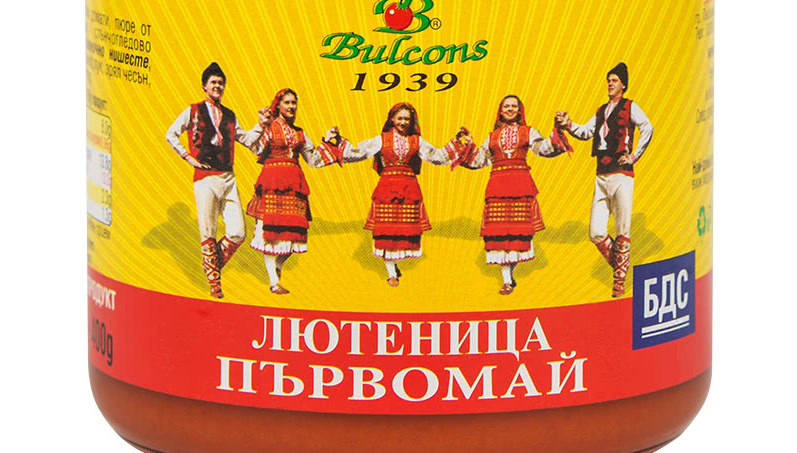 It is clear from the decisions of the SAC and the Sofia Appellate Court that “Bulcons Parvomay” is a very special company as it enjoys such obvious favoritism given the risk that the government will be severely sanctioned. Also, the example is not at all motivating for foreign investors. Now the decency of Bulgarian justice is in the hands of the Supreme Court of Cassations (SCC). If the last instance fails to deal correctly with the case, it will probably be a reason for another conviction against Bulgaria in Europe. Bivol researched the “Bulcons Parvomay” ownership already in its 2015 publication. To date, 33% are owned by former Plovdiv District Court judge Vesselin Dimitrov. Another 33% belong to Stefan Fachev, and “Lipex-NC” has a 34% stake. The owner of the latter company is Vesselin Vassilev Slavov. The key figure here is Vesselin Dimitrov as his track record clearly reveals his ties with persons close to the DPS party. In August 1999, Dimitrov became a junior judge at the city of Targovishte District Court, half a year later he was appointed as Plovdiv regional judge, and on January 18, 2001, he joined the Plovdiv District Court. According to media reports, for a long time, Dimitrov has been the only judge dealing with insolvency cases in this Court. At that time, the President of the Court was the current Prosecutor General, Sotir Tsatsarov. Precisely Dimitrov has presided the bankruptcy case against a previous owner of Bulcons – the so-called management-employee companies (RMD) which have privatized the plant “Partizani” (Communist Guerilla Fighters) in the town of Parvomay. The case is based on a complaint by Dimitar Tadarakov – the story that Bivol told in 2015. Tadarakov is known as one of the largest credit millionaires of the transition period after the fall of the Communist regime. He is listed and described in the so-called “White Book” of bank bankruptcies as a person involved in the draining of 11 large companies. He is also widely known for his very close ties with the DPS, and personally with Ahmed Dogan, the Lifetime Honorary Chairman of the party. Tadarakov was appointed during the term of the government of the Three Party Coalition, after strong political lobbying, as Director of the institution which allocates the largest share of European Union (EU) funds – the State Fund “Agriculture”. This period remains in history with the freeze of EU funding under the SAPARD program over major abuses established by OLAF. Tadarakov’s claim was for four million Deutsche marks. Several court panels had refused to uphold this claim, but when the case was allocated to Dimitrov, things began happening. Dimitrov appointed as trustee for the company Siyka Petrova. She is a former investigator in Sofia and ex-wife of another “magistrate-hero of our time” – Petio Petrov, a former prosecutor and former Head of the Sofia Investigation Services, who is especially popular with the all-telling nickname – Petio “The Euro” Petrov. Ten days after the appointment, Petrova asked for an order to remove the plant’s management and received it. The terminated manager appealed and won the case at two consecutive instances and at the Supreme Court of Cassations (SCC). When he finally returned, it was too late, as the whole plant had been sold for the symbolic amount of BGN 350,000. Separately, the group got hold on the substantial bank accounts of the enterprise. The plant was acquired by the Plovdiv-based company “K & K Bulgaria”. The manager of the company Stoil Arabadziev, in a conversation with a reporter of Bivol, admitted that he had been pressured by judge Vesselin Dimitrov through Stefan Fachev – today a partner of Dimitrov. Years after the appropriation of the Parvomay plant, Fachev and Dimitrov were convicted of property fraud. In 2012, the Supreme Court of Cassations sentenced them to three years of probation for taking away through fraud an apartment in the capital Sofia from its rightful owner. Nevertheless, with the exception of this sentence, Vesselin Dimitrov and Stefan Fachev have been shielded numerous times by the judiciary over the years. In 2005, they were among the defendants in a key process – for the illegal privatization of the Sofia shopping center “Iliyantsi”. They had been investigated and accused of particularly serious embezzlement, facing ten to 20 years behind bars. In 2007, while still a defendant, Vesselin Dimitrov was appointed by the SJC as judge in the Sofia City Administrative Court. The case against him in the Sofia City Court had not been allocated to a judge for a long time. The Court and the Prosecution used all known procedural tricks to close this case. At that time the President of the Sofia City Court Svetlin Mihaylov and the defendant Vesselin Dimitrov were colleagues in the Arbitration Commission of the Bulgarian Football Union. Eventually, the case was closed before entering the court stage, with an act by another notorious judge – Vladimir Yaneva from “YanevaGate”. Even after Dimitrov left the judiciary, the scandals surrounding him continued. In 2014, the associated with him company, “Stone Computers”, offered to the SJC a free technical solution for the safe operation of the so-called random allocation of cases “Law Choice”. However, the SJC did not accept the offer of “Stone Computers”. The public registers indicate that “Stone Computers” had been registered in 1995, and until 2008, Vesselin Dimitrov, who then owned 50% of the company’s capital, was part of its management. He currently has a 33% stake in the company. “Stone Computers” is obviously a darling of key institutions such as the central bank BNB, the Ministry of Finance, the National Revenue Agency (NRA), the National Social Security Institute (NSSI), the Commission for Protection of Competition (CPC) and the Customs Agency, who have spent BGN 40 million for software and hardware solutions delivered by the company of the former scandalous judge. By the way, the security company used by the Plovdiv PLEA Mariana Obretenova to seize the property of “Konservinvest” is called “Stone Security” and its sole owner is “Stone Computers”.